Anyone who's been on a weight loss journey KNOWS it's hard. You know there are times you rock it and there are times you feel like your bad habits are never going to change. Sometimes you recognize support and encouragement and other times all you can see are the things that seem to be against you. But when your eyes and heart are focused right, you keep pressing on toward your dream and you eventually make it happen, no matter what adversity comes your way! Personally, my extra pounds of fat are the result of a heart issue. Not a medical heart condition, but an emotional one. It's a result of a choice I made fifteen years ago that I knew wasn't right. God told me three times in one day not to do something. He gave me obvious signs and everything, but I went ahead and did what I wanted to do. That choice has affected my entire life. Instead of swallowing my pride and surrendering to God's will, I went my own way. It didn't take long for me to realize what a mistake that was. And instead of asking God to forgive me and help me move forward, I pretended everything was fine; to my family, to my friends, to my church, and to myself... but I was sick inside. I wouldn't forgive myself and I started to mask these awful emotions with extra food. Eating good meals took my mind of the guilt. And a little extra food here and there became way too much. Then, I developed a habit of overeating. A habit that's hard to break. It's taken a lot of heartache, illness, and trial and error to get me where I am today... and I'm still not where I want to be. But I continue to try. And the difference this time around is my focus. I'm spending a great amount of time and effort to break my emotional connection to food and refocus it on God. 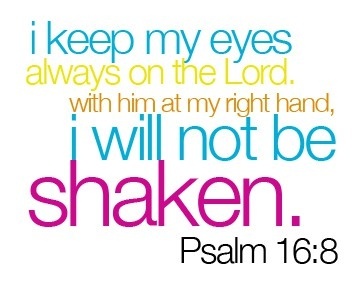 He's always seen me through, so why wouldn't I rely on Him? So far, He's helped me progress and my thoughts are starting to change! Don't know where I'd be without You." I'm still gonna make mistakes. I'm still gonna slip up. I'm still gonna be stupid sometimes and do what I want instead of what God knows is best for me. I'm human and, unfortunately, it's reality that I'm gonna sin. But in my heart, I want to try hard to keep my focus on God and, with His help, withstand Satan's dirty tricks to keep me captive in insecurity and inferiority. 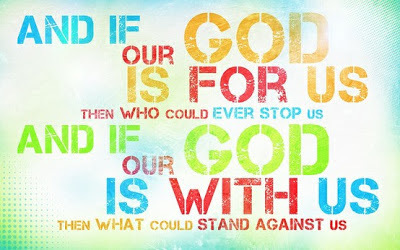 "... with God, ALL THINGS ARE POSSIBLE!" (Mathew 19:26). "ALL THINGS" includes my dream of losing weight and maintaining a healthy lifestyle!